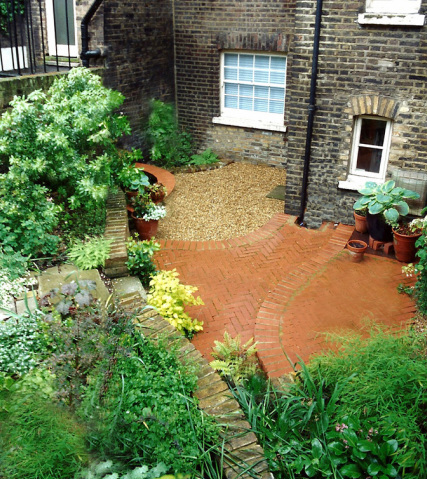 A small and shady walled garden in busy Kings Cross. The site had nothing but compacted earth, Ivy and cracked concrete, and overshadowed by a large Sycamore tree that had seeded at the back of the garden many years ago. The first job was to get the tree pruned, and allow more light into the garden. The client had a small son and his bedroom looked onto the garden. They were likely to eat out in the summer, and the client would want to occasionally take a break from her home studio. 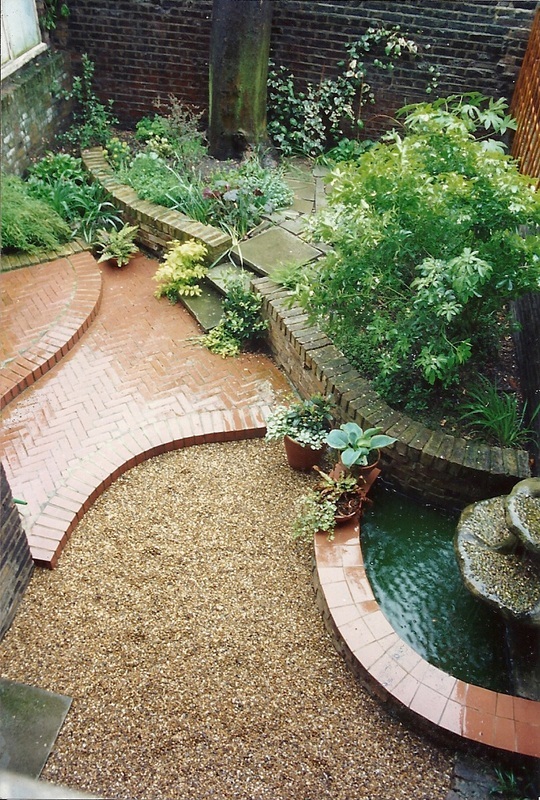 All of the constructed elements combined in shape to create a a fluid form in the garden to offset the heavy and rather sombre walls around it. 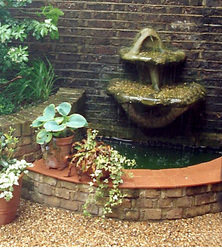 The crunch of the shingle area exaggerated the feeling of stepping into an outside environment, and combined with the sound from the wall fountain to help distract from the noise of the busy area. The main bed in a piano shape, was retained by a low wall, using matching reclaimed yellow stocks. The planting had to be low maintenance, as well as cope with the lack of direct light, the Sycamore roots, and London pollution, so the choices were restricted. 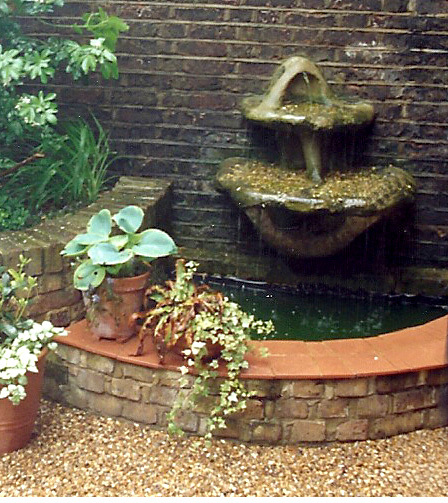 The result was a garden haven - a little oasis, and for the first time for the client and her son, a real treat to step outside.